The new family member recently blessed us with this #GullySteez throwie and it came out dope as heck! 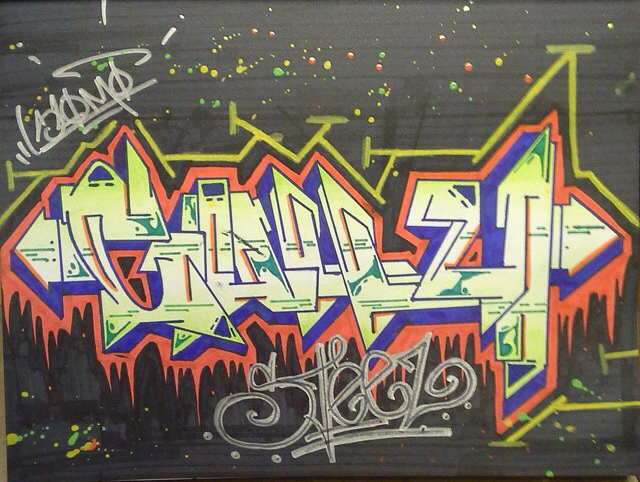 This entry was posted in "Gully Steez" Throwies, ART and tagged art, artwork, blog, cities, city, cool, culture, dope, dopest, gully, gullymag, gullynation, gullysteez, hip-hop, hiphop, ill, illest, legends, mag, magazine, music, paint, painting, photo, photography, rad, rap, real, steez, street, streetart, style, swag, urban, write, writing by Gully Steez | All Things Dope. Bookmark the permalink.